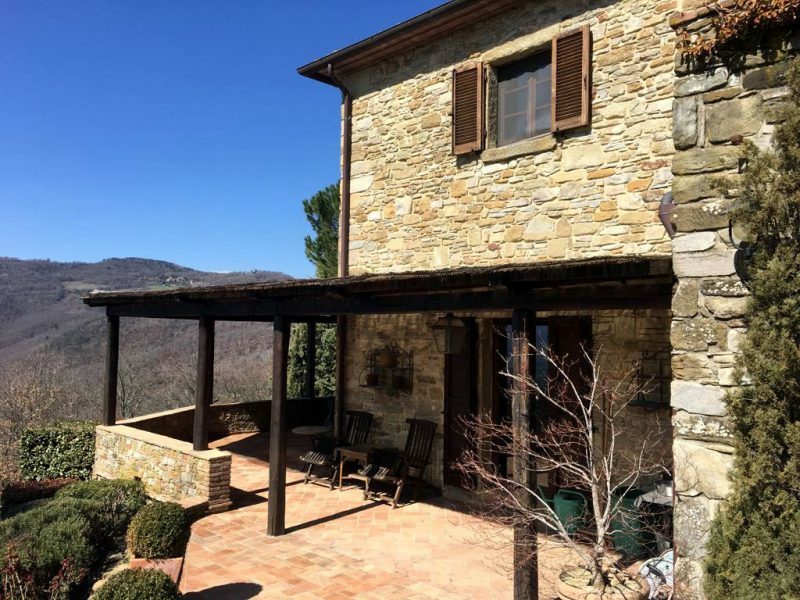 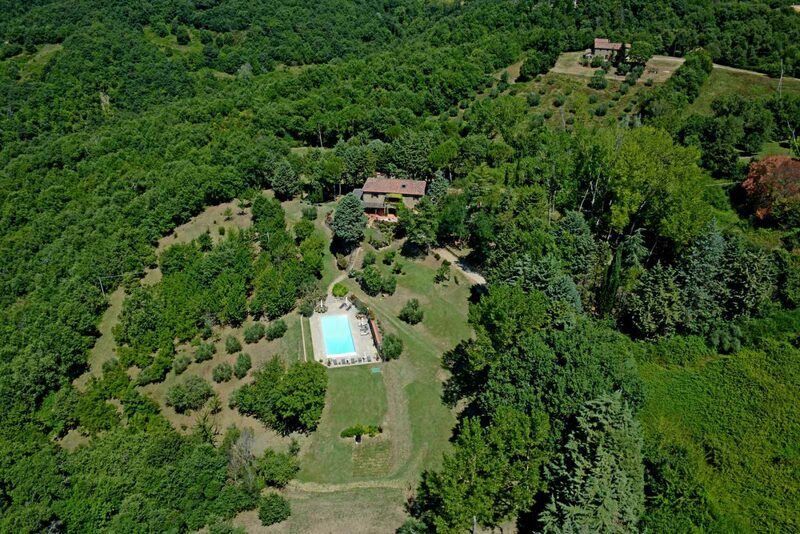 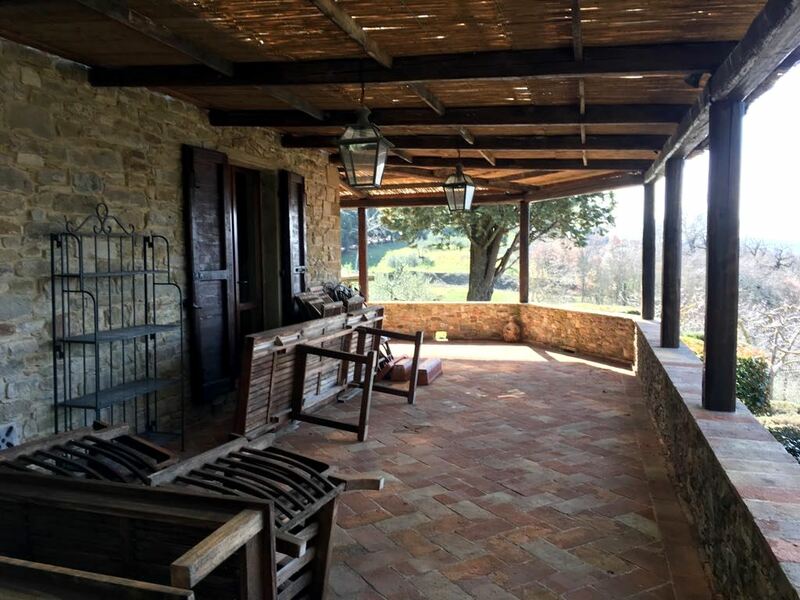 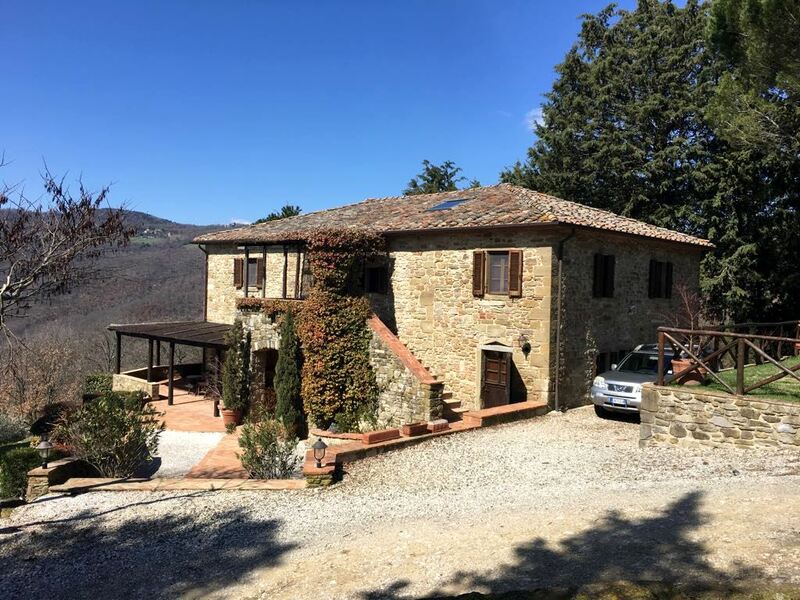 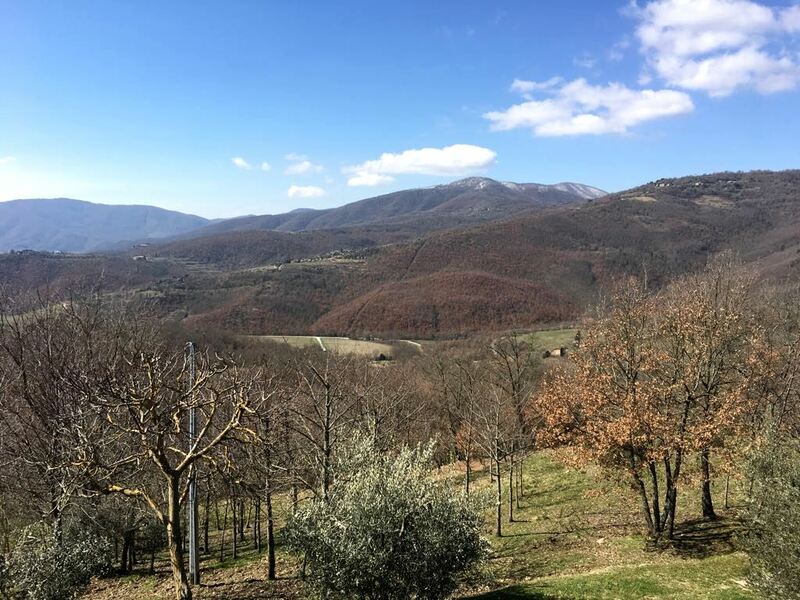 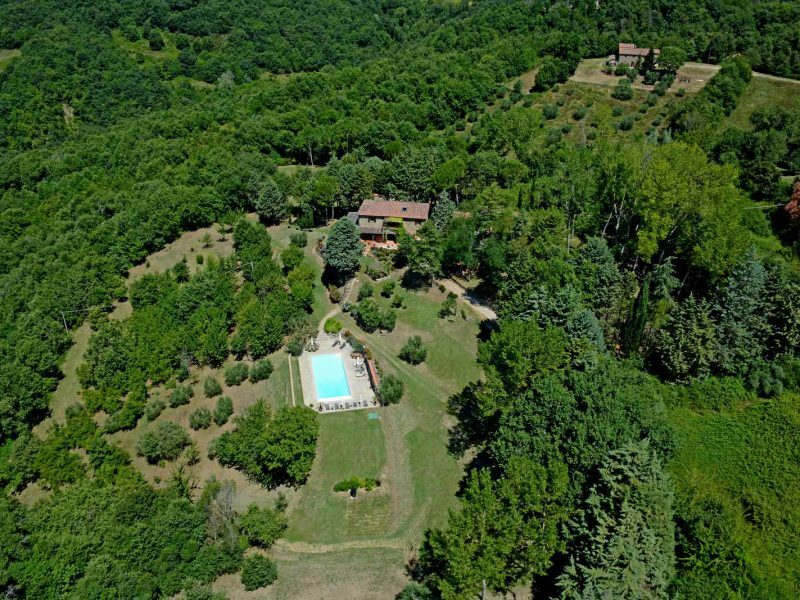 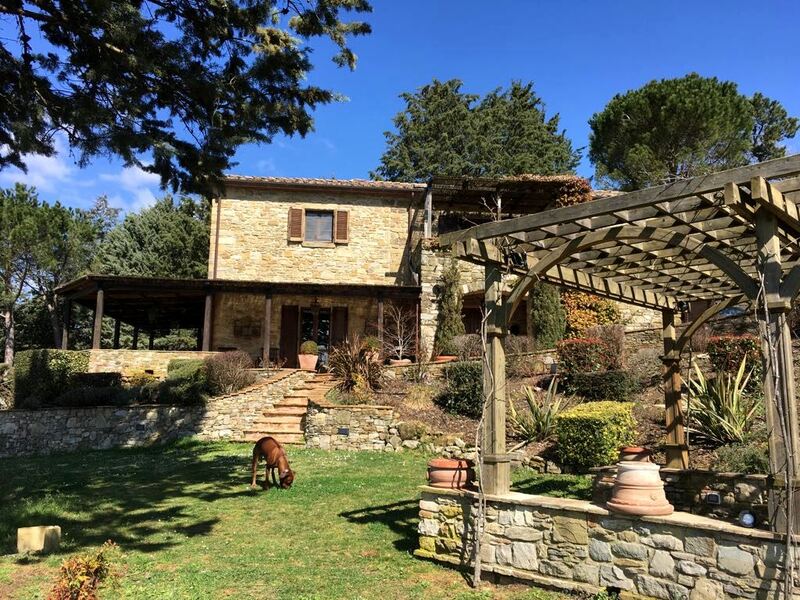 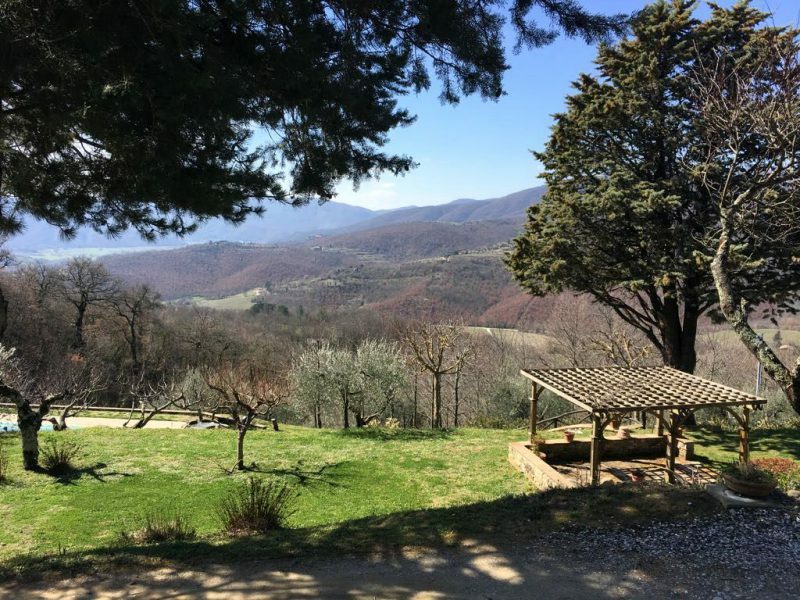 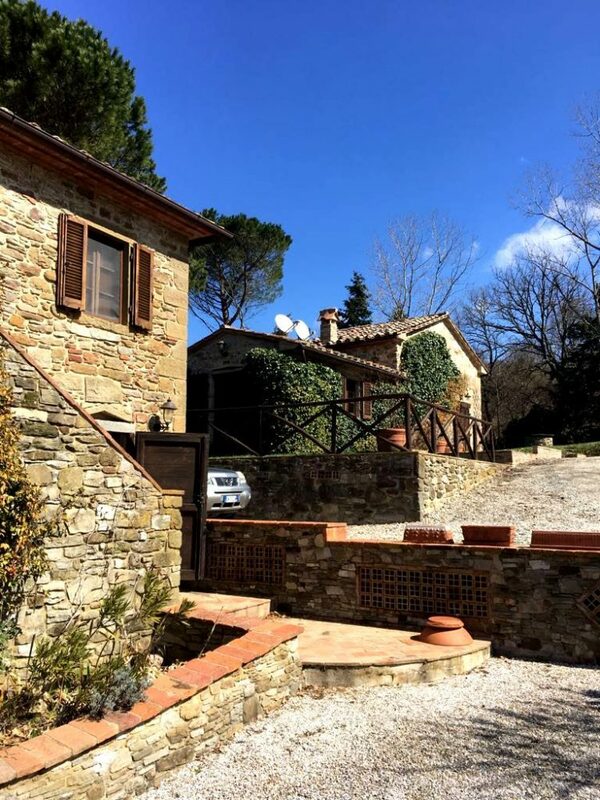 This large country estate lies in a very panoramic position above the Niccone valley between the Umbrian and Tuscan border with views to Mercatale di Cortona and the Reschio estate in the near distance. The house has been fully restored with many original features having been maintained and top quality materials used throughout. 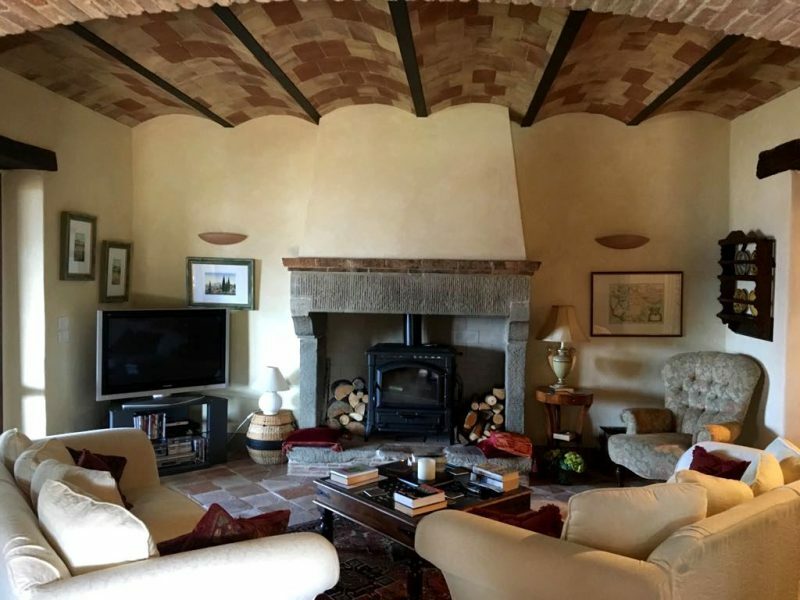 The house is characterised by large open rooms, particularly the main living room that connects the dining room, second sitting room and large open plan fully equipped family kitchen. 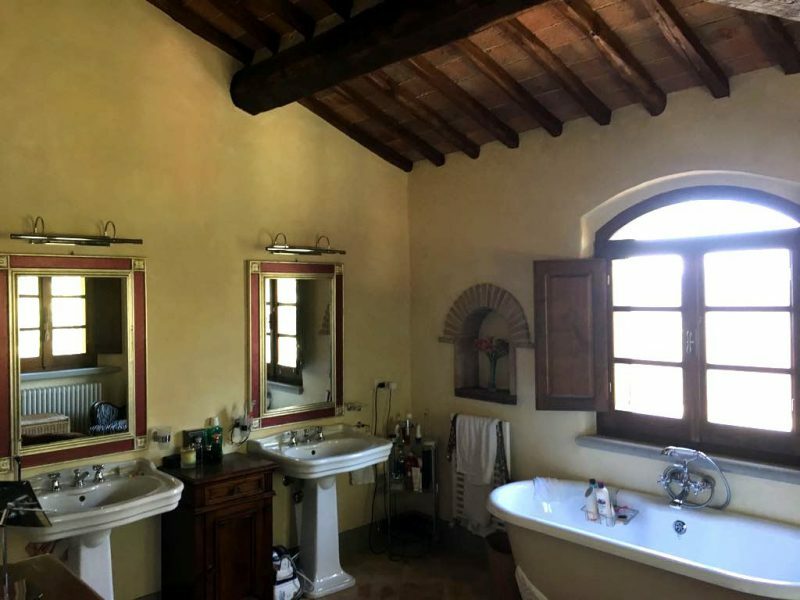 The main house has 4 bedrooms, each with en suite bathrooms and air conditioning, there are three on the upper floor and one on the ground floor. 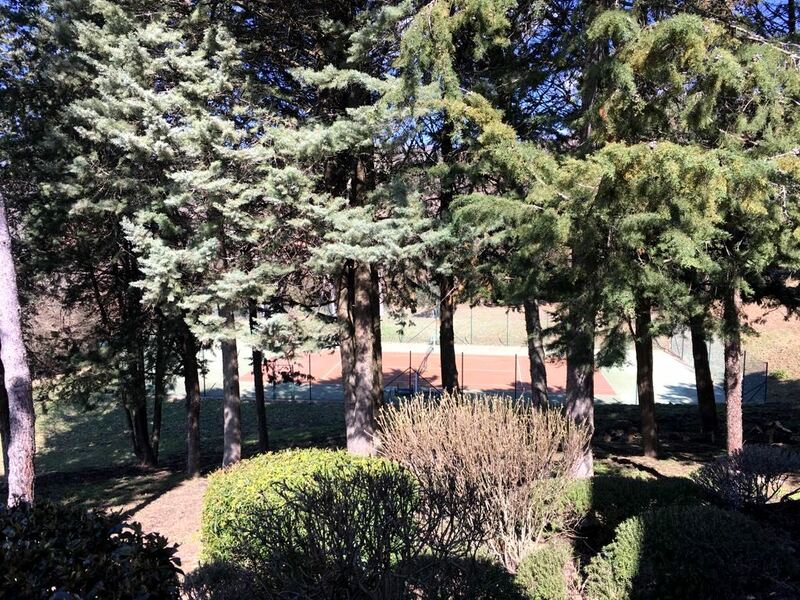 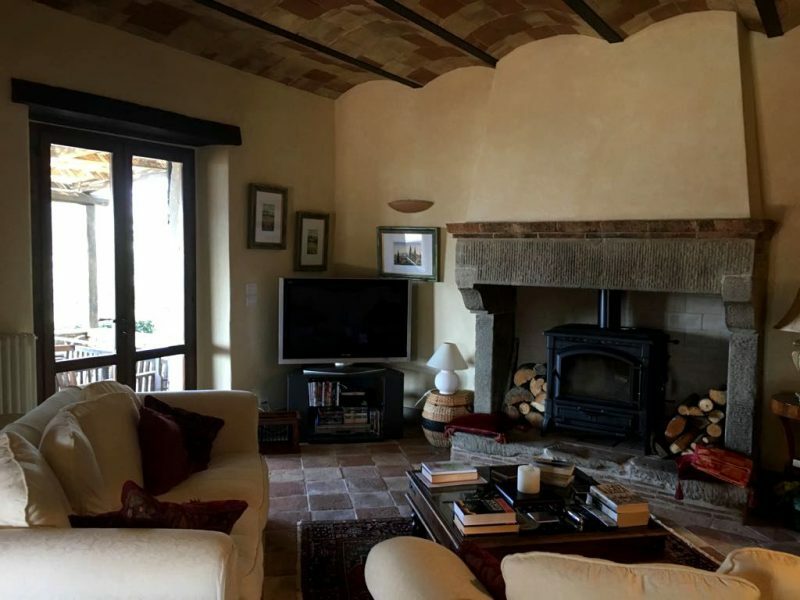 In addition there is a self-contained annex with 2 bedrooms and a bathroom, one twin room on the first floor and a double on the lower ground floor, with direct access to the gardens between the tennis court and the swimming pool. 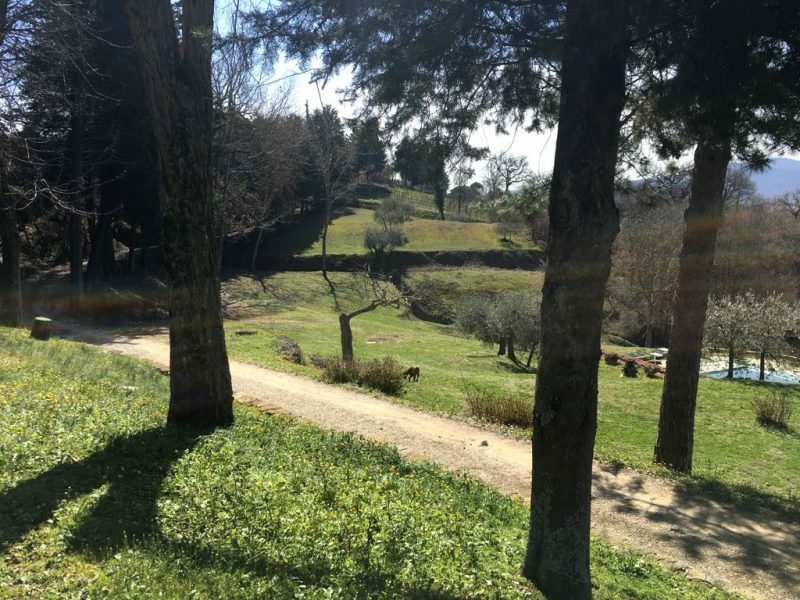 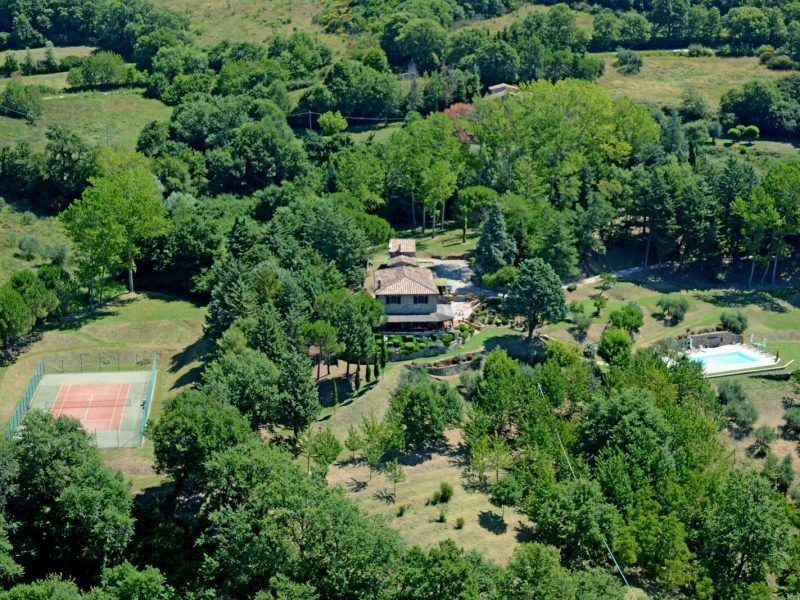 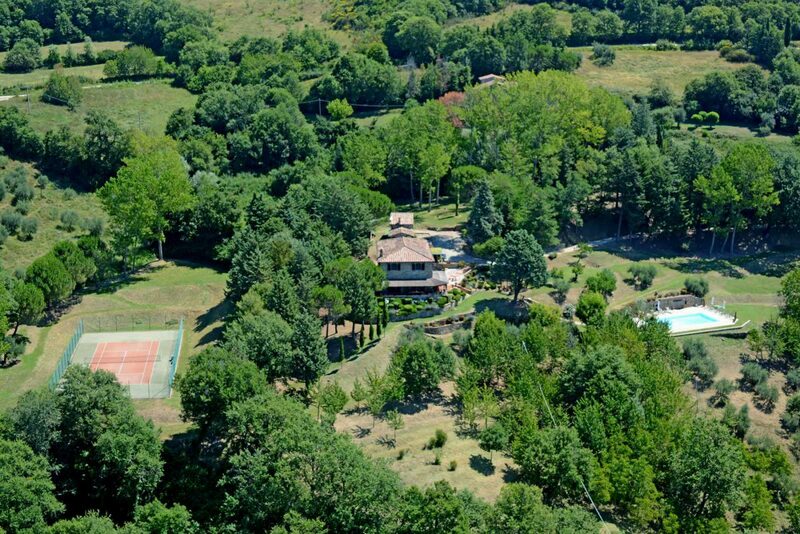 The land, just over 8 hectares, is split between well maintained terraced gardens, a fruit orchard, a half hectare of olive trees, providing between 400 to 500 bottles a year a 6x 14 m swimming pool and a floodlit tennis court. 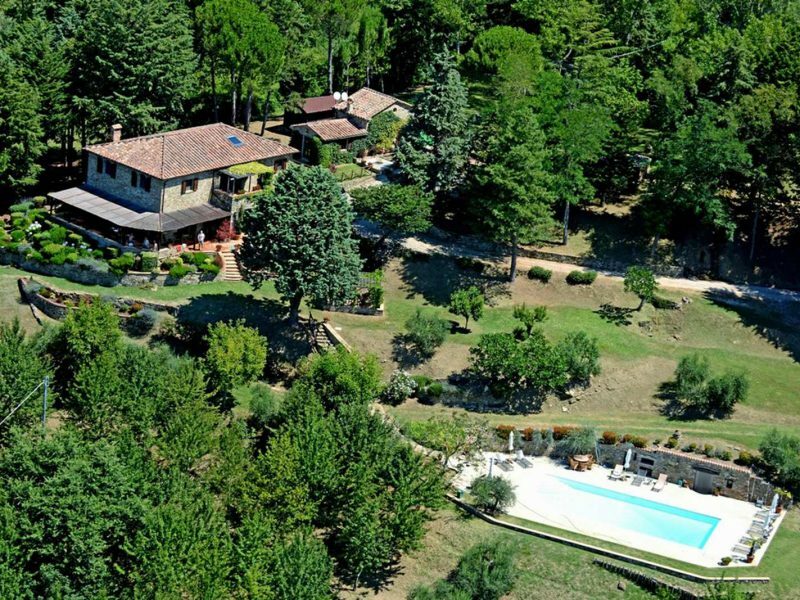 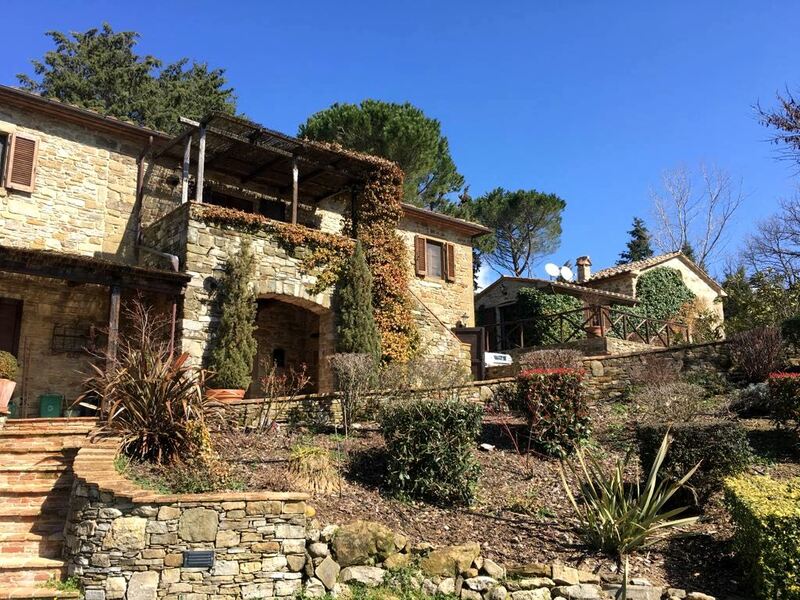 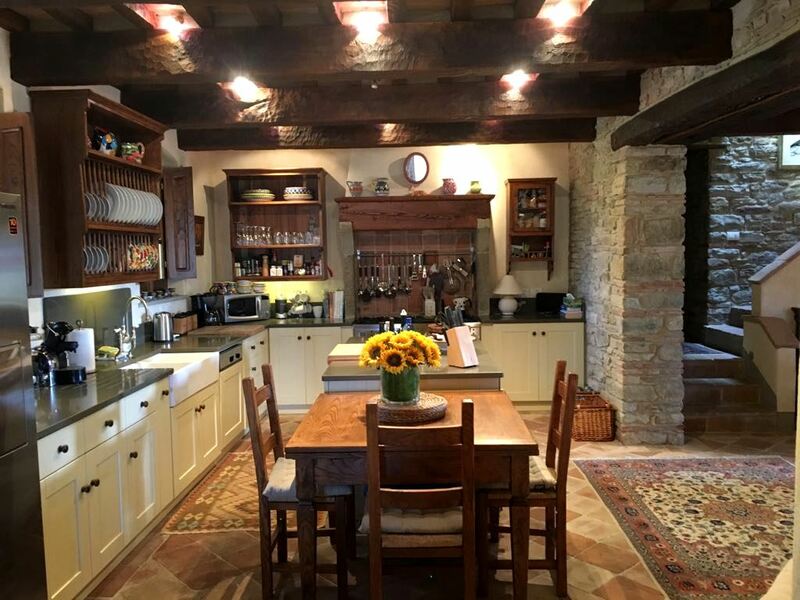 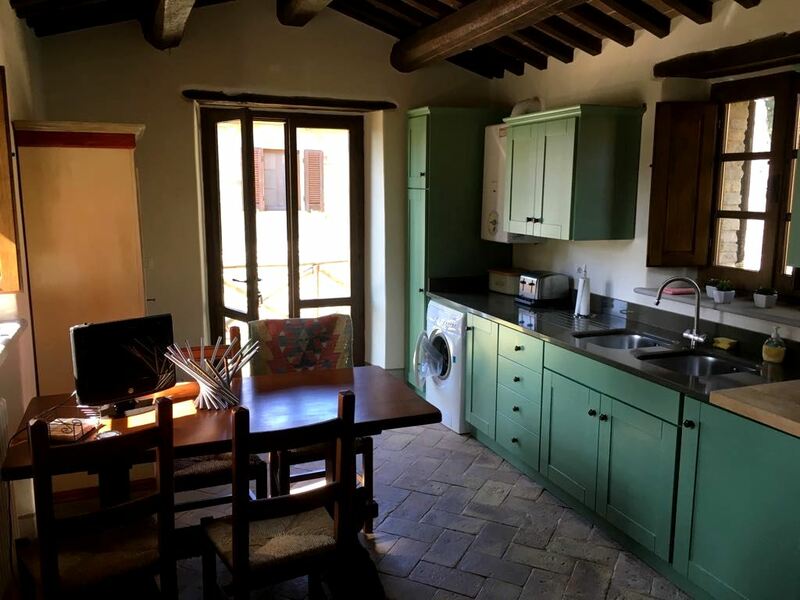 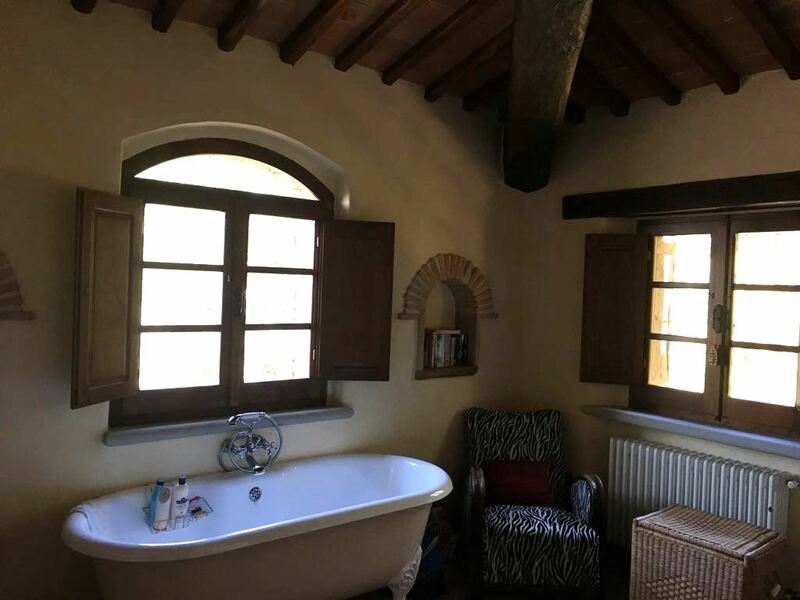 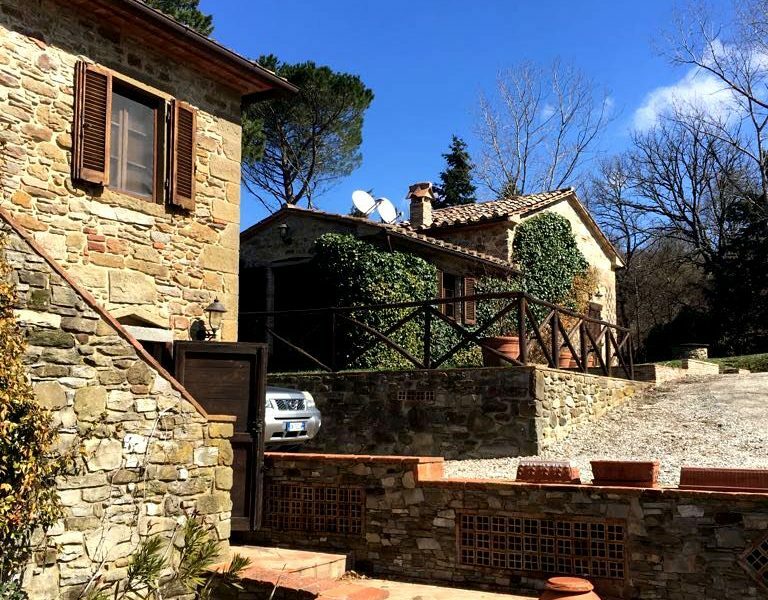 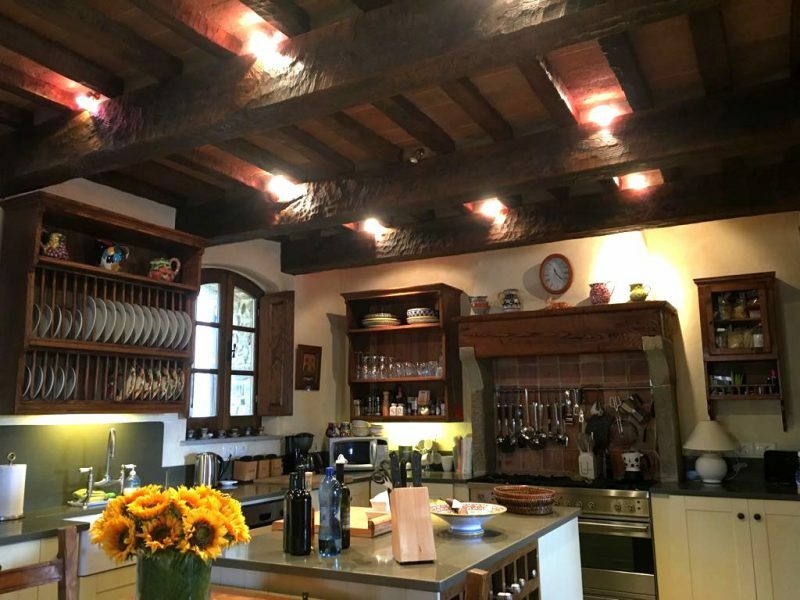 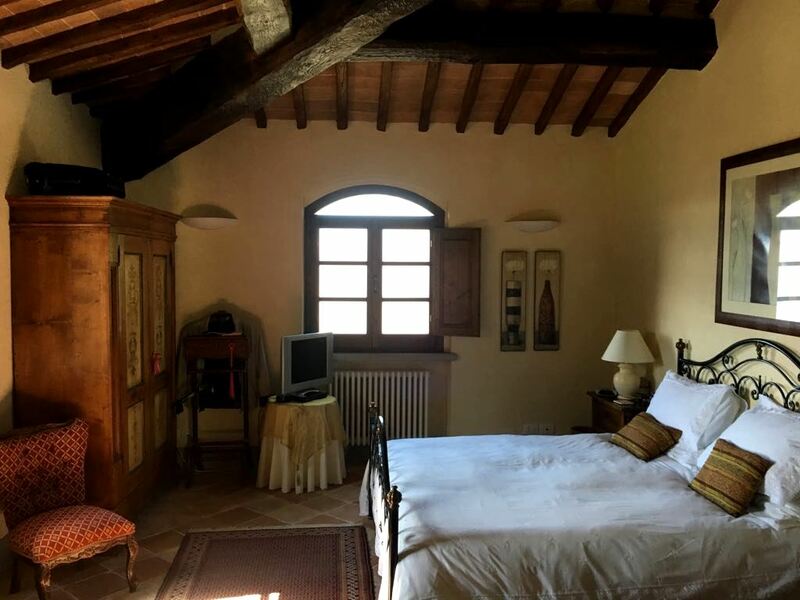 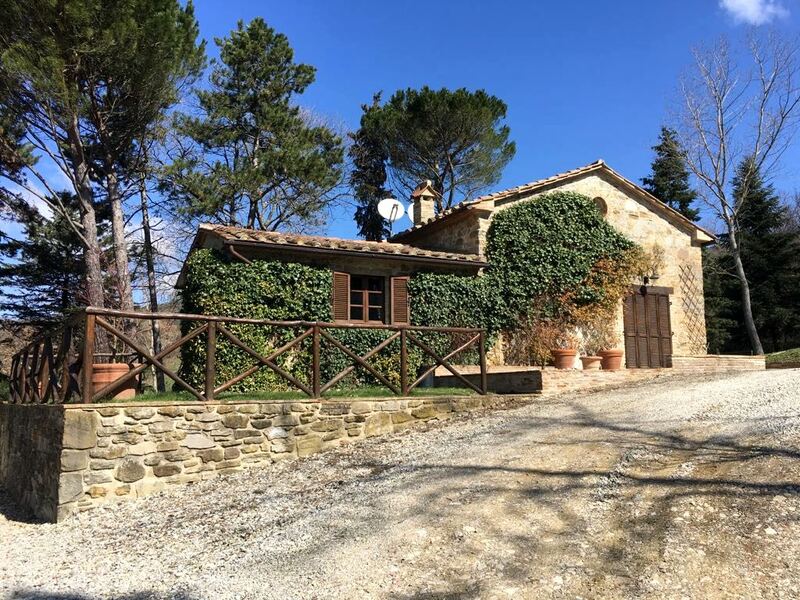 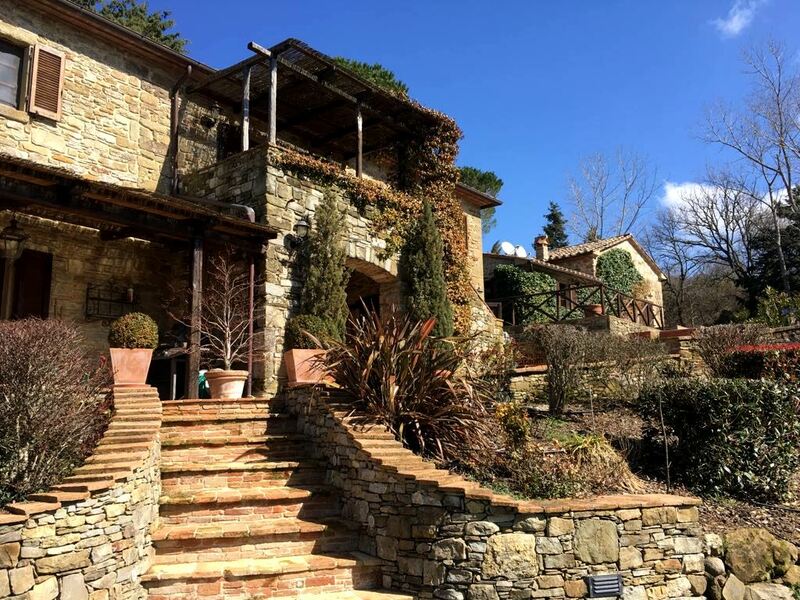 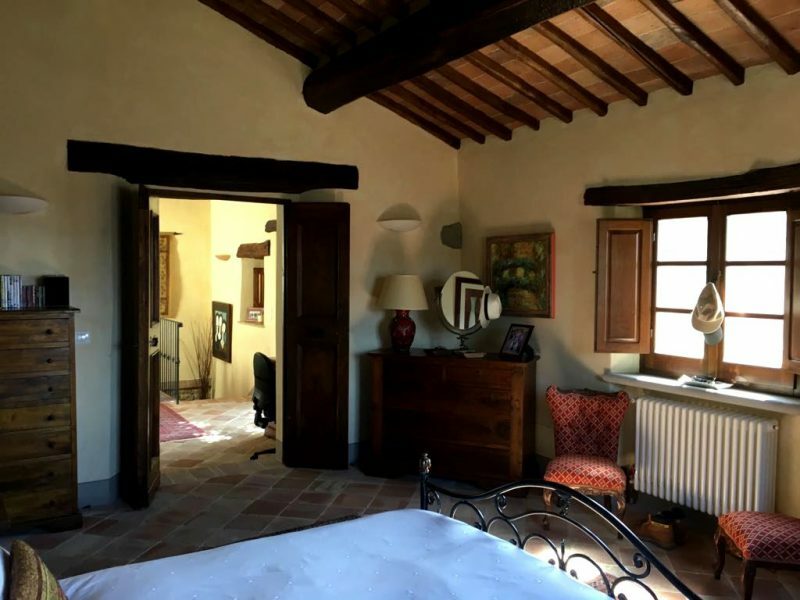 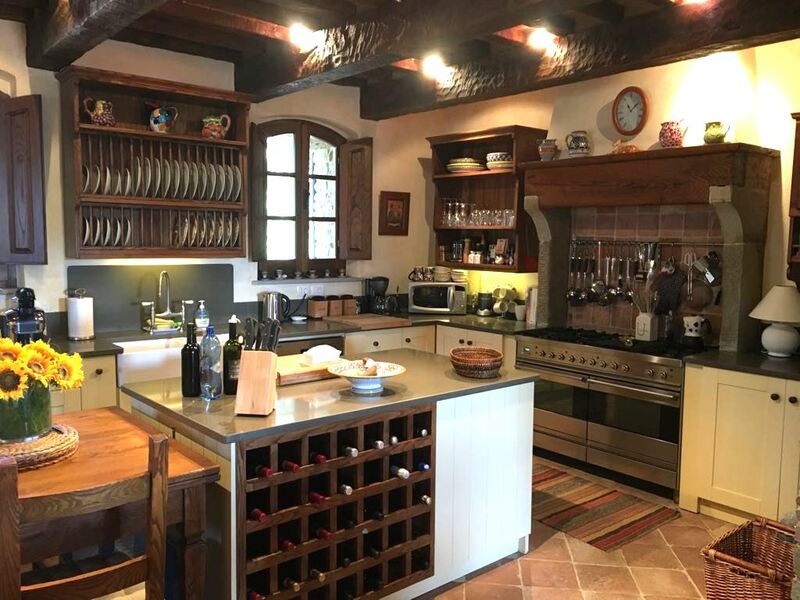 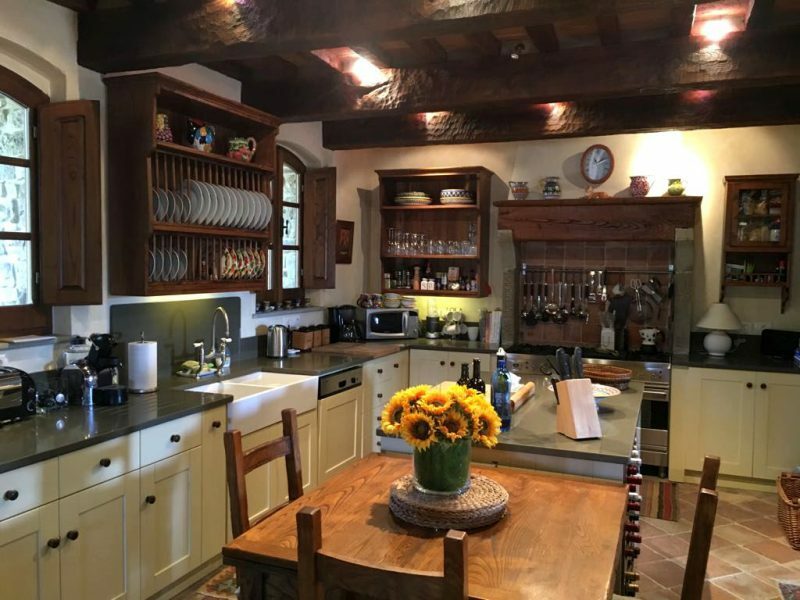 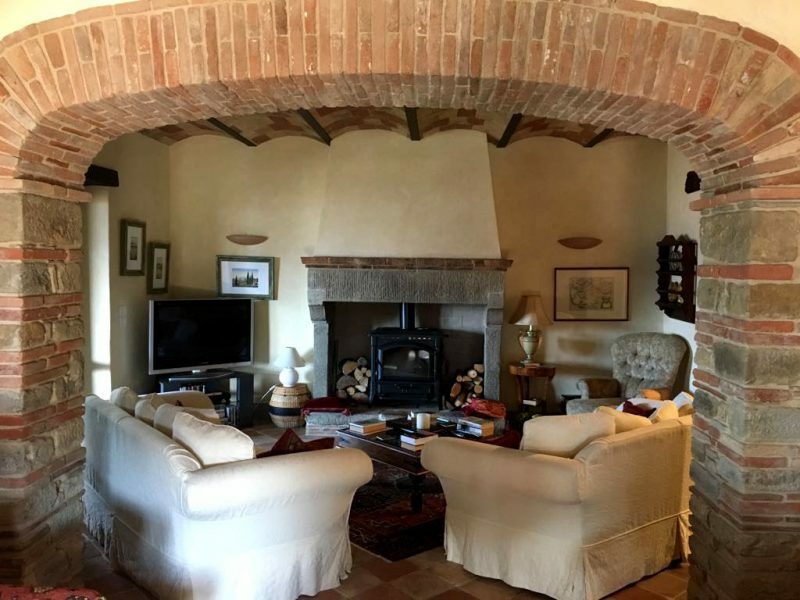 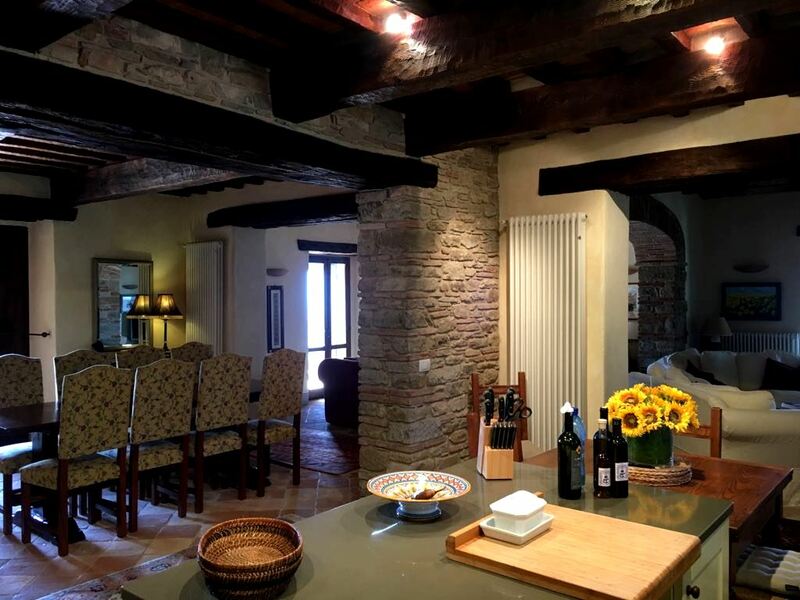 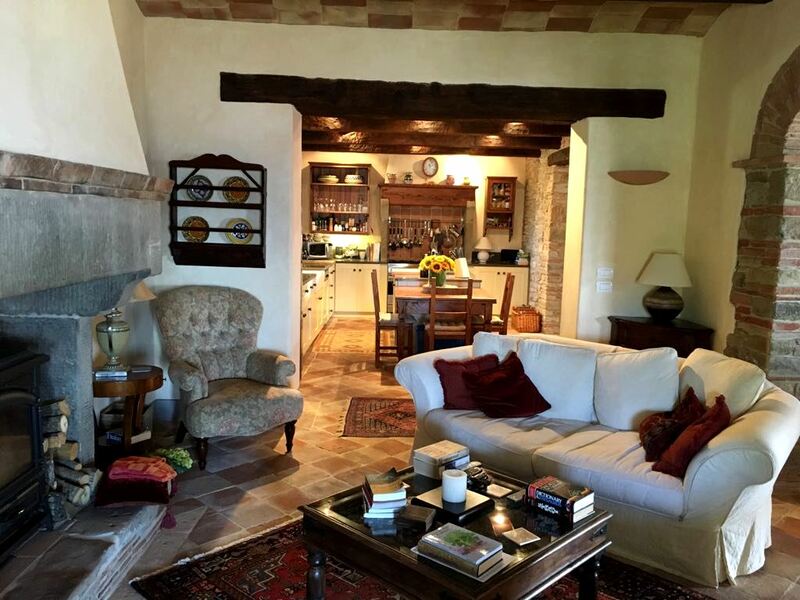 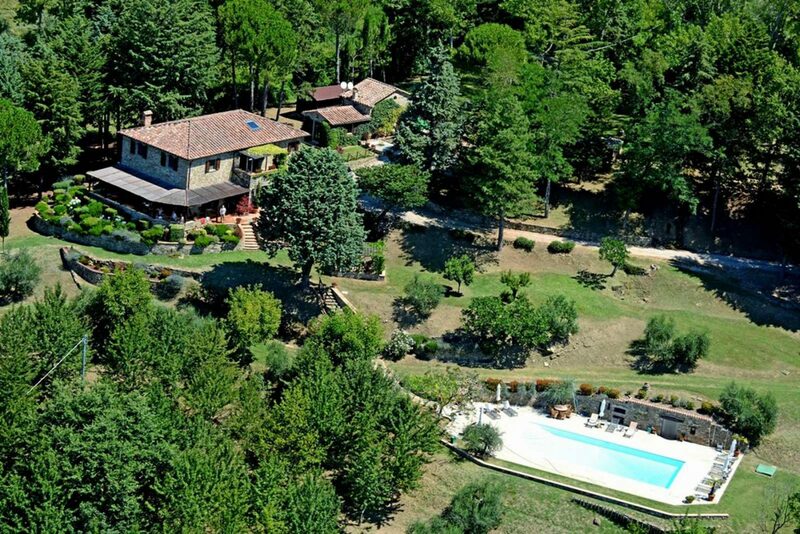 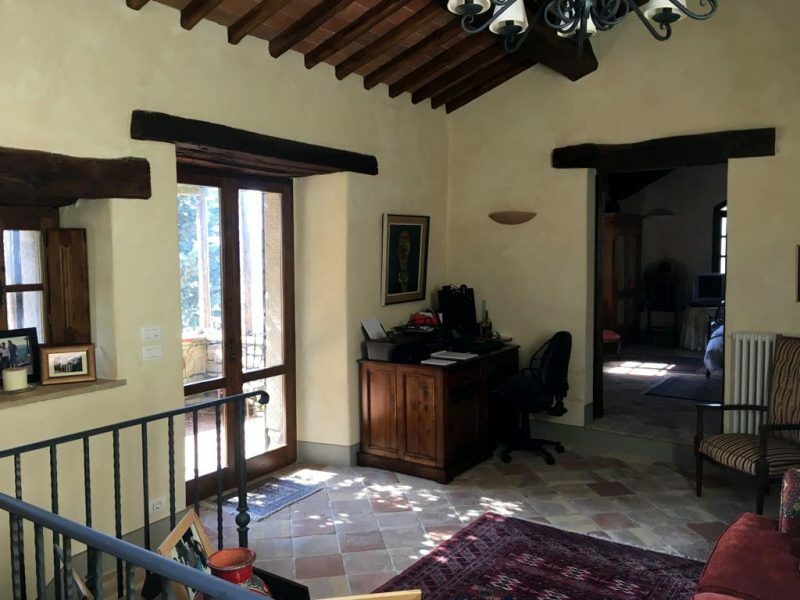 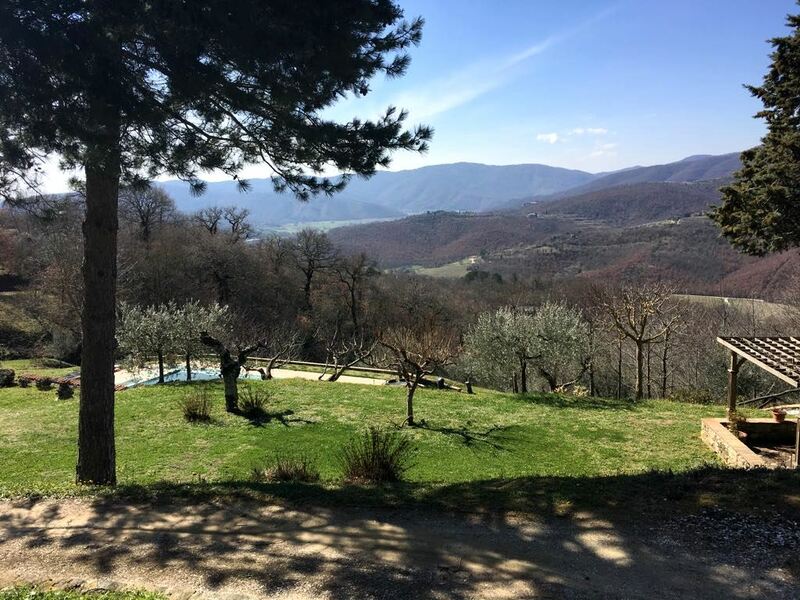 Set in a delightful and very private location a short drive from the hilltop town of Cortona, Caspiano is essential viewing for anyone seeking luxury Italian real estate in this sought after corner of Umbria.